The Olympics make me cry. Watching Gabby Douglas triumph brought tears to my eyes. The Pistorius story makes me bawl. Every four years, I choke up, and what makes me always choke up is the story of the two Koreas. Looking at the results to date, the South (ROK) has 9/3/5 in gold, silver bronze, giving it a total 17 in medal count. The North, (PRK) has 4/0/1, or 5 total. Combined, that is 13/3/6 or 22 total so far. In terms of golds, it would place Korea 4th behind the UK, and it would tie with France in the total count. This makes me cry and cry watching the clips of Koreans winning. When Rim Jong Sim, North Korean power lifter took gold, I cried -happy at the thought of all the food that she and her family would get. While I harbor many dark thoughts about the North -I have stated that justice would be served by lining up all the fat people in North Korea on the wall, I can’t help thinking that reunification would have to involve reconciliation. 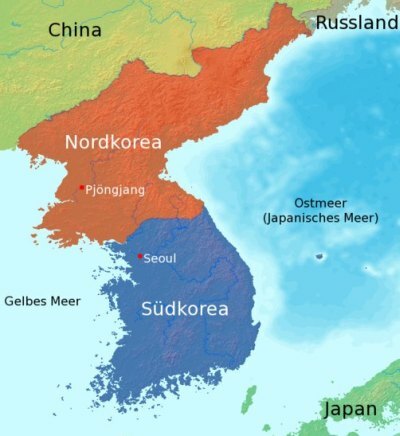 I look at the example of South Africa, and the miracle that it didn’t descend in to a genocidal hell, and wish something half as good could happen to Korea before the North becomes a province of China. Unfortunately, all the potential Mandelas in the North have been shot or nicely enslaved. I pray that force of arms won’t be required to rejoin two halves of one body, but with every decade, the memory of wholeness will become more distant. But the games, oh the games!